My new team for 2018, United Autosports, had a successful two-day test at Paul Ricard in Southern France on 8 November. 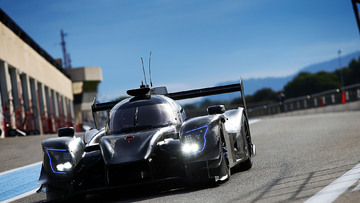 I teamed up with regular pilot Filipe Albuquerque in a Ligier JS P217. We concentrated on refining the JS P217, but also clocked some good lap times and managed to gather some important data for the 2018 ELMS programme. The test was particularly good as I managed to gain further mileage at the 3.63 mile Le Castellet circuit in advance of my début at Daytona in January.